Ghost in the Shell (Kōkaku Kidōtai) took the Sci-Fi genre by storm and has defined what makes a good Sci-Fi anime. Little to nothing has come to match its glory. Let's take a look at what makes this franchise so unique and groundbreaking. In 1995, Ghost in the Shell , a two hour cinematic release, took the anime community by storm. Since its overwhelming success, the franchise has gained immense popularity. It has inspired multiple animated movies and television shows, such as the Stand Alone and Arise series. Ghost in the Shell centers around ‘Major’ Motoko Kusanagi, a female cyborg government agent, and a member of the public security Section 9, in the year 2029. She, along with the Internal Bureau investigators are closing in on the source of a strange computer virus caused by the wanted criminal known as The Puppet Master. This virus is capable of hacking into and controlling the minds of human hosts. With the help of her comrades from Section 9, the team begins a high-tech race against the obstacle known as ‘time,’ to capture and stop this virus once and for all. Ghost in the Shell takes place in the mid twenty-first century, where technology in Japan (and the rest of the world) has advanced. In this world, you could basically add ‘high-tech’ to anything from a brain, to a microwave and it would exist! In this setting, the world is recovering from a nuclear World War III, and a non-nuclear World War IV. Since the end of both wars, people are in the process of trying to rebuild civilization and hopefully end further political conflict. Japan (along with America) is one of, if not the most highly advanced countries and the most powerful. Japan has access to resources that other civilizations lack. Japan’s government is mainly democratic. However, political and military corruption is a constant issue. Of course, I mean they just had two world wars! What do you expect? It is up to government agents, like Motoko Kusanagi (member of public security Section 9) to eliminate these threats and recover political stability. In Ghost in the Shell, the vast majority of the human race have become cyborgs. An exclusively organic, ‘flesh and blood’ citizen is extremely rare or maybe even nonexistent. Some humans are more cyborg than others. They may have only prosthetic limbs, with the rest of their composition consisting of flesh, organs and other organic human components. Some are almost entirely robots. For example, Motoko Kusanagi is entirely made up of robotic parts except for her brain. ‘Cyberbrains’ are artificial, yet still functional, brains. Cyberbrains allow the user to connect with major networks, and other beings with Cyberbrains. This allows one to communicate with others, and ‘surf’ the network. These brains (being mostly prosthetic) can be physically transferred between bodies. ‘Cyberzation’ is almost like a fashion trend in the world of Ghost in the Shell. Although it is not necessarily the law to undergo Cyberzation, it is considered a taboo to abstain. This results in little, to no, whole human beings. The amount of Cyberzation on a human can be anywhere from extreme amounts to minimal amounts. Minimal Cyberzation only replaces a small portion of the brain with robotic parts, leaving the majority of the organic brain alone. This gives the user a small amount of communication, external memories and a bit of connection to the ‘network’. Major Cyberzation refers to a situation where as much as 97.5% of the human brain cells are Cyberbrains. However, this is only really done in the case of an extreme accident and/or illness. Wow, Cyberbrains! Seems pretty awesome right? Well… It all seems pretty fine and dandy until you learn about ‘ghost hacking.’ When a virus infiltrates the host, it is called ‘ghost hacking.’ It is a highly illegal form of hacking that allows an individual to take control of a Cyberbrain. Once hacked, it is possible to have all of your memories altered, making you an entirely different person. The human host produces its physiological images, making what the host sees something much different than the truth. The hacker can also see through the victims eyes. 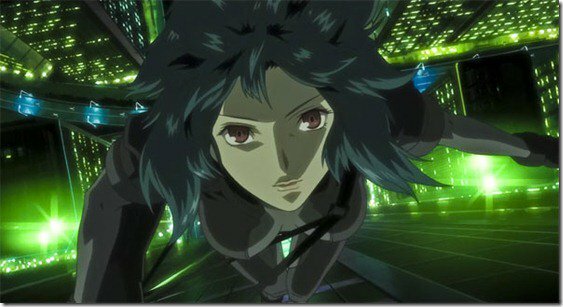 So, you could call the victim a ‘puppet.’ Hence, the main antagonist’s persona, ‘The Puppet Master.’ Major Motoko Kusanagi’s most crucial missions involve hunting down these ruthless hackers and bringing them to justice. Other technology that exists in the world of Ghost in the Shell is ‘Thermo-Optical Camouflage’ and ‘Think Tanks.’ Thermo-Optical Camouflage allows the user to blend in with their surrounding and become almost completely invisible! Think Tanks are used as military weapons that enhance the artificial intelligence of certain robots. Ghost in the Shell has been praised multiple times for being a groundbreaking and mind blowing story that has raised the bar of the science fiction genre for both anime and live action films. Little has come anywhere near challenging this anime’s title as one of the most phenomenal Sci-Fi movies ever created. The concept of Cyborgs and ghost hacking is almost as creative and out of the box as you can get. The detail put into both the world setting and technology in this story is superb. I mean, just look at all of the years that have passed. Since the creation of the manga, the Ghost in the Shell franchise has sky rocketed. New versions of the series have been and are being created, without detracting from the original’s excellence. What more could the series ask for? 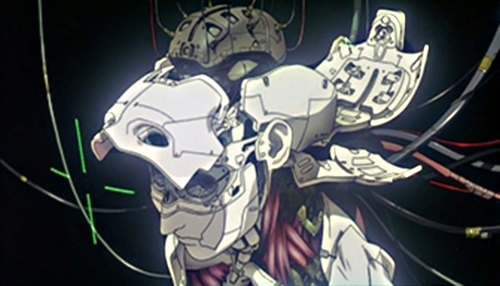 To this day, Ghost in the Shell is considered to be a true, anime movie classic. Of course, I cannot end the paragraph without mentioning the sheer awesomeness of Major Motoko Kusanagi. It would be a crime, as she is considered one of anime’s favorite and most well known female protagonists. The unique attributes of this anime movie are definitely not something you should overlook. If you are a self-respecting anime fan, make sure that this series (especially the 1995 movie) are checked-off on your must-watch anime list. As far as anime go, there are quite a lot of titles in the Science Fiction genre. 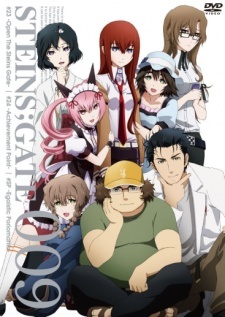 You might be a little bit surprised to hear this, but in terms of recommendations, personally, I am going to recommend you go check out Steins Gate. Although the two anime are quite different, they both have interesting stories, advanced technology (Steins Gate features time travel) and enjoyable characters. If you are in the mood for a little bit more romance and drama, then you will not be disappointed by Steins Gate. 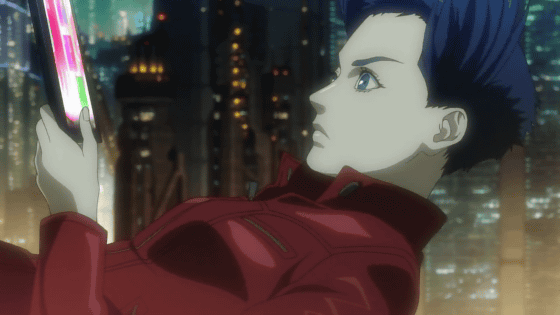 Admittedly, Ghost in the Shell is on a whole other level than Steins Gate in terms of Science Fiction; it is definitely an anime that not all Ghost in Shell fans will enjoy. But, if you are still craving an anime about Science Fiction, then Steins Gat” is one anime that you should at least take the time to look into. I am sure that after reading this article (or briefly skimming through it) you are asking yourself one simple question. Should I watch Ghost in the Shell? Is it really worth my precious time? Well, let me answer that question for you. Yes, you definitely should. This anime is highly recommended to members of the anime community, even if you don't tend to watch Science Fiction it is not a series that you can simply pass up. I'll be honest, I might not have discovered the anime at all if my friend had not given me the 1995 anime film for my birthday. I was skeptical at first, but after watching the movie, she was officially promoted to my new best friend. When it comes to the overall franchise (especially the original movie) one has no choice but to give it the credit and recognition it deserves. Ghost in the Shell is a true masterpiece. In the world of anime, it was something that came out way ahead of its time. It has set the bar, and has served as the inspiration for tons of Science Fiction anime titles, and even some non-anime films. Even if you don’t really like Science Fiction, this is one movie you must check out. You do not even have to like it, or enjoy it as much as some people do, but please do yourself the honor of witnessing this film. Believe me when I tell you that people will take your opinion on anime more seriously if you have seen Ghost in the Shell, and can at least use it as a point of reference. It will also change your view on the Science Fiction genre for the rest of your experience as an anime fan. In other words, this is one of those anime franchise that no anime and/or manga fan can skip. If you have not seen this film, or at least heard of it, I suggest you take the time out of your schedule to give this series a shot.